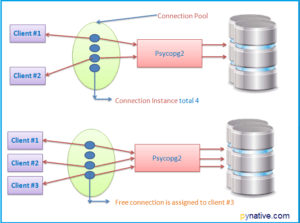 In this article, I will let you know what connection pool is and how to implement a PostgreSQL database connection pool using Psycopg2 in Python. Connection Pool is nothing but cached database connections that are created and maintained so that connections get reused for coming requests instead of creating the new connection every time. There are various advantages of implementing and using a connection pool for your Python application while working with PostgreSQL. The central benefit is Time and Performance improvements. As you know creating a PostgreSQL database connection is expensive, i.e. it is resource heavy and time-consuming process. 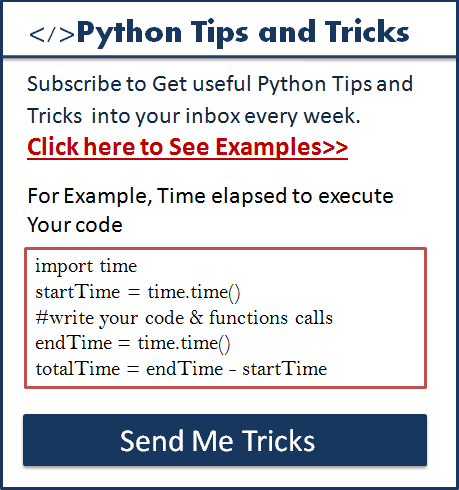 Using Connection Pooling, we can reduce request and response time of database-centric application in Python. Let see how to implement the Connection pool in Python to work with a PostgreSQL database. The psycopg2 module has 4 classes to manage a connection pool. i.e. ready to use classes to create and manage the connection pool directly. Alternatively, we can implement our connection pool implementation using its abstract class. The Psycopg2 module has the following four classes to manage the Connection pool. Note: – SimpleConnectionPool, ThreadedConnectionPool, PersistentConnectionPool are all subclass of AbstractConnectionPool class. and implement all methods defined in it. Let see the use of each class separately. It is a base class implementing generic key-based pooling code. AbstractConnectionPool is an abstract class. Subclass need to implements methods defined in it. If you want to create your implementation for the connection pool, you have to extend this class and implement methods defined in it. minConnection is the minimum connection objects required. *args, **kwargs are the arguments required for a connect () method to establish a connection to the PostgreSQL database. 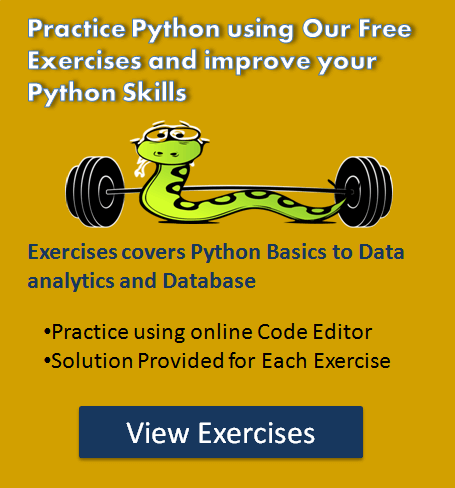 It is a subclass of AbstractConnectionPool class and implements methods defined in it. It is ready to use class for the connection pool. This class is suitable only for single-threaded applications. i.e., If we create a connection pool using this class, then we can’t share this across different threads. So use this class to manage the connection pool only when you have a single-threaded application. It is also a subclass of AbstractConnectionPool class and implements methods defined in it. Ready to use for the connection pool. As the name suggests, this class used in a multithreaded environment. i.e., connection pool created using this class can be shared between multiple threads. It is also a subclass of AbstractConnectionPool class and implements methods defined in it. This class used in the multithread application where a pool that assigns persistent connections to different threads. As the name suggests, each thread gets a single connection from the pool, i.e. thread can’t use more than one single connection from the pool. This connection pool generates a key using thread ID. That means for each thread for every call of getting Connection and putting Connection, pool give and releases the same connection. Note: Note: This pool class is mostly intended to interact with Zope and probably not useful in typical applications. Now, Let see how to create a connection pool. The Following methods are provided by the Psycopg2 module to use and manage the Connection pool. getconn(key=None): – To Get a available connection from the pool. The key parameter is optional. If used, the connection associated with the key and calling getconn() with the same key again return the same connection. The Key parameter used in PersistentConnectionPool class. putconn(connection, key=None, close=False): – Put away a connection. i.e., return a connection to the connection pool. If close is True, discard the connection from the pool. If a key used while creating the connection then key should be used consistently with getconn(). closeall(): – Close all the connections handled by the pool. This method closes all the connection including connections that are in use. Now, Let see the example to create a connection pool. In this example, we are using a SimpleConnectionPool class to create a connection pool. Before creating a connection pool let’s see the arguments that are necessary to create a connection pool. Note: we need to specify the Minimum connections, Maximum connections, username, Password, Host, Database arguments to create a connection pool. minConnection is the minimum PostgreSQL database connection object to create. i.e., the lower limit. maxConnection are the maximum PostgreSQL database connection object to create and support. i.e., the upper limit. *args, **kwargs are the arguments required to pass to a connect() method to create a connection object. argument include Host Name, User, Password, Database, Port. Let see how to use SimpleConnectionPool class to create and manage a connection pool in Python. We passed the following values while creating a connection pool. Minimum connection = 1, i.e., create a minimum one connection at the time of creation of a connection pool. Maximum Connection = 20, i.e., you can use a maximum 20 PostgreSQL connections. Other required parameters to connect PostgreSQL. The SimpleConnectionPool class constructor returns us the connection pool instance. Using a getconn () method we requested a new connection from a connection pool. After that, we executed our database operation against the PostgreSQL database. To release the connection object back to the connection pool we used the putconn () method. In the end, we are closing all the active and passive connection object because we want to close the application. Develop a connection pool that will work in a multithreading environment. using a ThreadedConnectionPool class we can create a connection pool that will work in multi-threaded applications. Now, Let see this with an example program. Tutorials are soooooo greattt !! Thanks man, you saved me. Thank you !. I have a question. I implement webservice and i use psycopg2.connect(). Must i use psycopg2.pool ? . Hey Rima, I am glad you liked it. It depends. If your service is doing lots of database operations, moreover, many applications are accessing it then Yes you should.